FIRA. 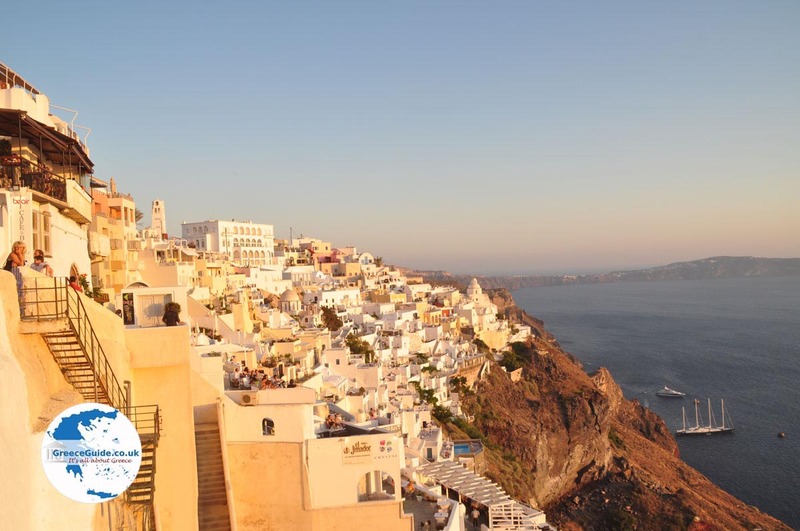 Firá, which is also called Thira, is the magnificent capital of Santorini island and one of the most fascinating places in Greece. 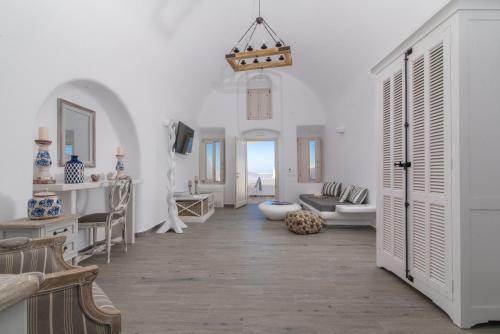 It is built in a unique way, on the edge of the steep cliffs (at 400 meters/1,300 ft) of Santorini's caldera and with beautiful views to the west. 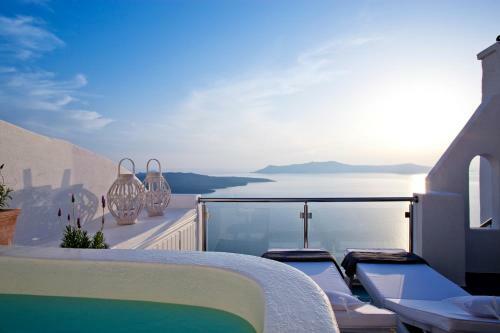 Sunsets seen from here are breathtaking. 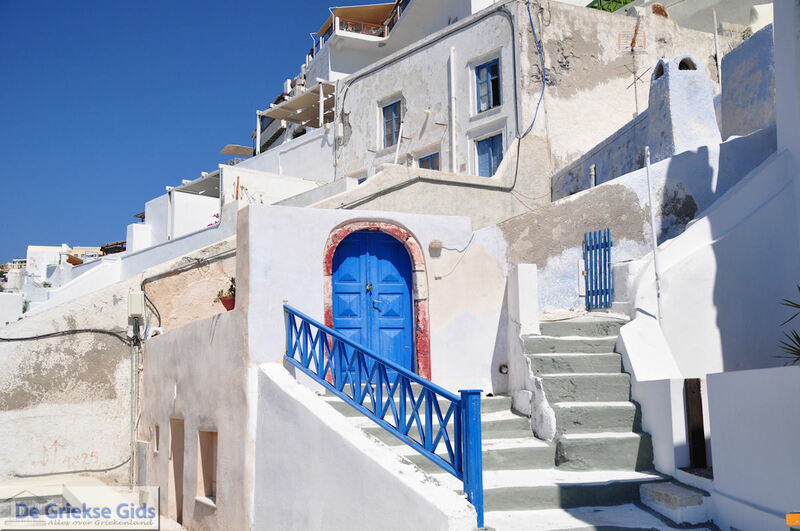 White houses with blue roofs and domed churches give an exceptional, classic appearance to Fira. 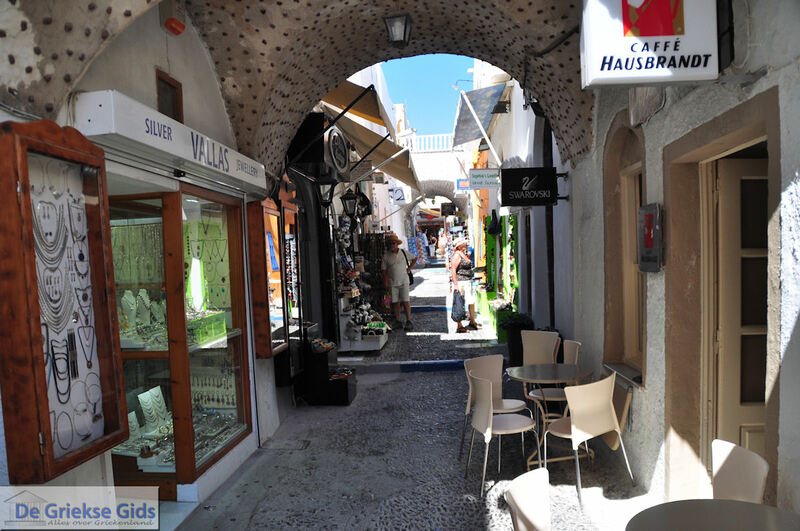 Fira, an elongated town from north to south, has narrow streets with many shops, bars, taverns and restaurants. 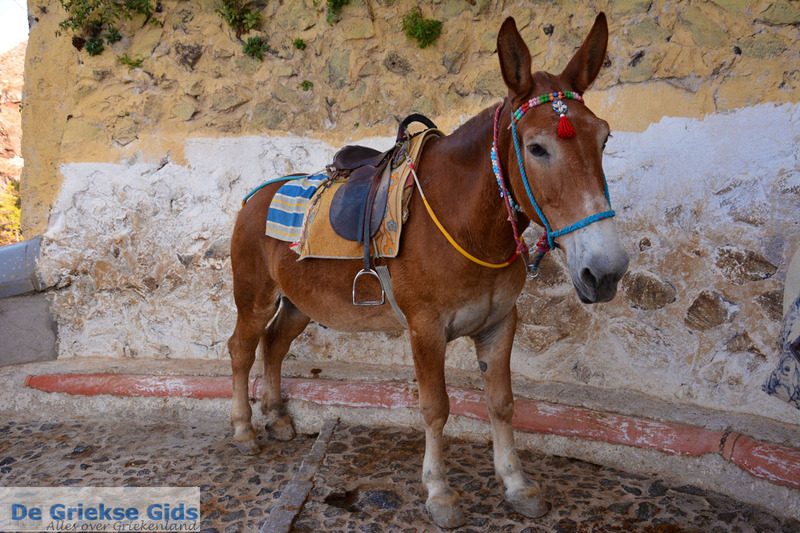 Unfortunately, the advent of tourism has partially muted the traditional style, creating an unorthodox town. 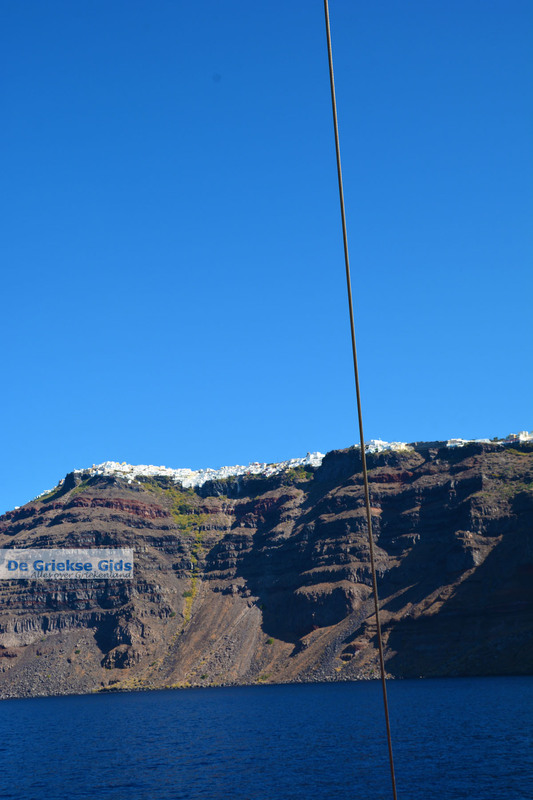 Down at the cliffs is the old port of Santorini, just south of the port of Athinios. 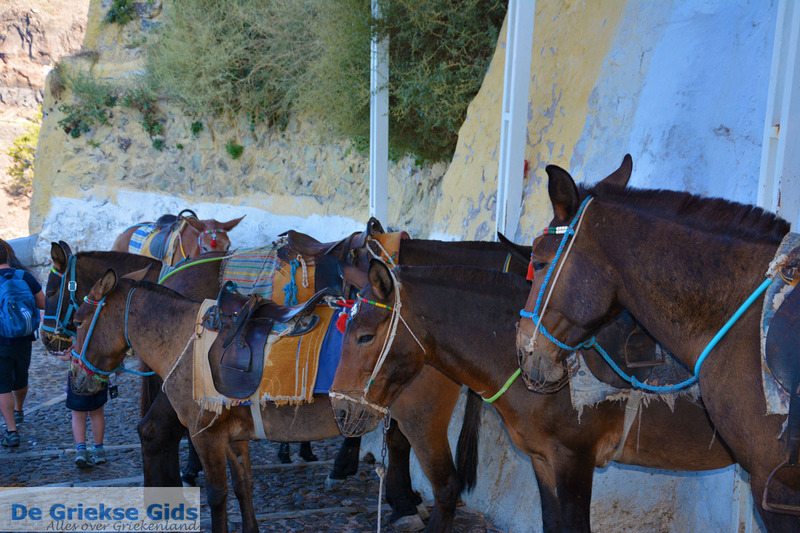 In the past, you had to make your way up the steep stairs by foot or by donkey to reach the city. 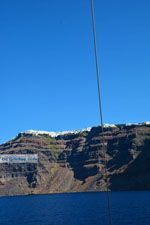 Today there is a road and a cable car to help you reach the town. 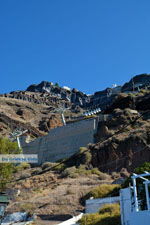 The central square of Fira is called Plateia Theotokopoulou, with a bus and taxi station, banks, and pharmacies. 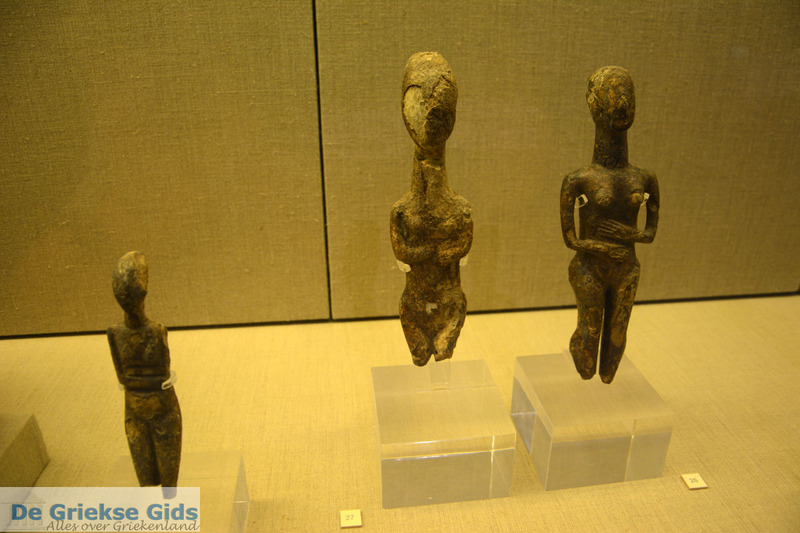 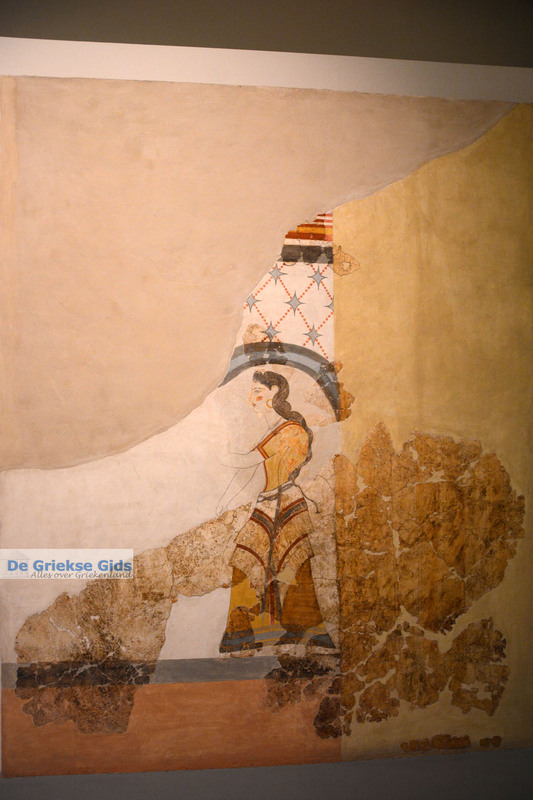 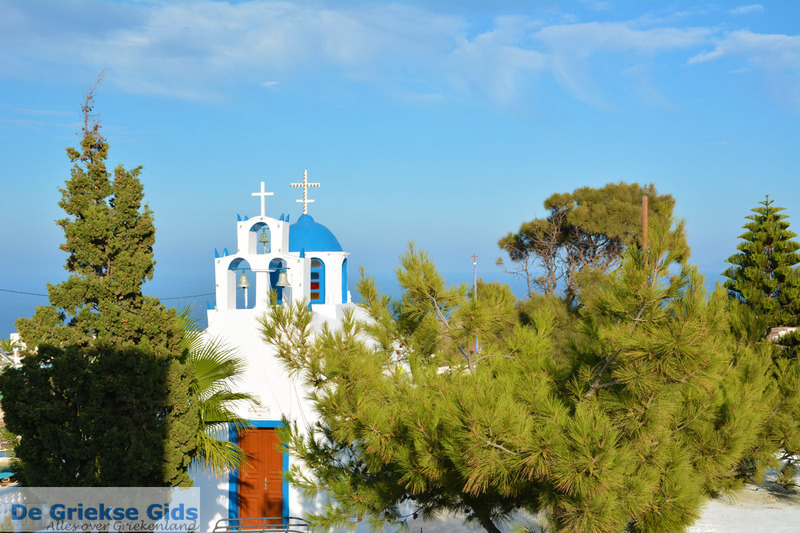 The main attractions of Fira are the Orthodox and Catholic Metropolis, the Archaeological Museum, the Museum of Prehistory, the Belonio Cultural Center, the Venetian Palace of Gizi and the ethnological museum of Emmanuel Lignos in Kontochori. 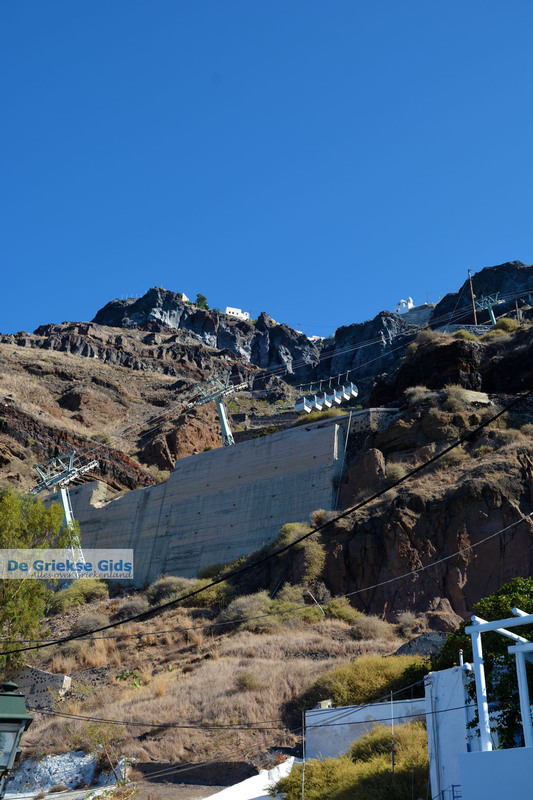 In Fira there are no beaches. 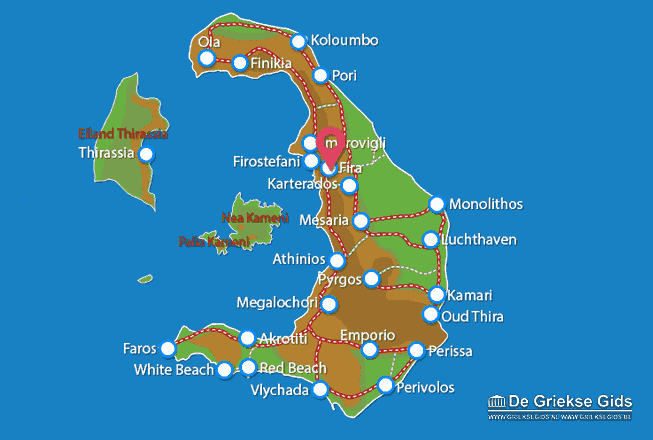 Almost all the beaches are located on the western side of the island. 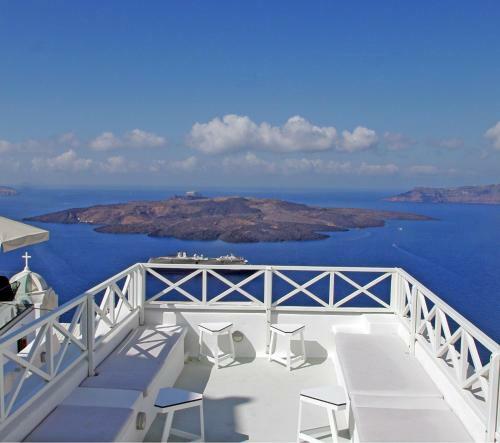 Santorini: Where on the map is Fira located?